It was a sunny day and I was out on my very first field visit as a Milaap fellow. After travelling by bus for an hour and then traversing through the paddy fields on motorbike and on foot, I reached the village of Khagsikana. Most of the villagers had mud houses with no electric and water supply. Through the villagers I came to know that for water they have to go to a nearby pond which is used by four other villages in the area. What instantly struck me about the village was the presence of a self-help group called Patakhanda, led by Janhabi Jhankar, that was striving hard to improve the lives of its families in the village. 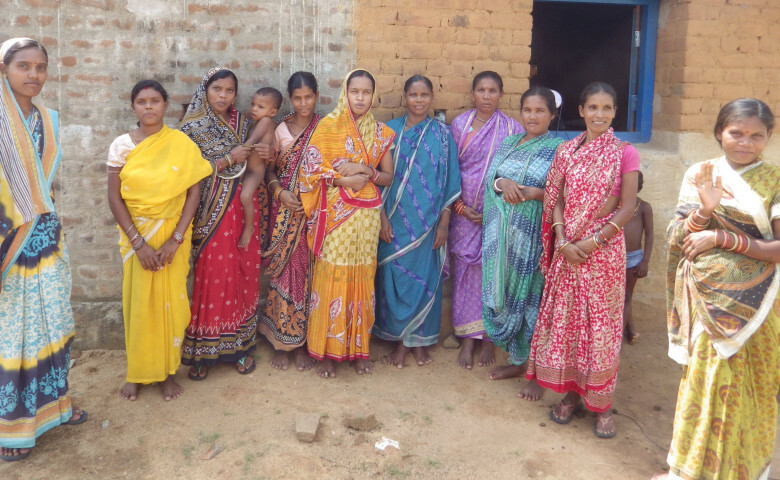 The woman on the extreme left with her hand raised is Janhabi Jhankar in the picture.The second thing that truly surprised me was that almost every woman of the group had a mobile phone providing communication access to these disadvantaged people. When I enquired about how they charge their mobile phone batteries, one of the members said that there is a charging slot in the solar lantern through which they charge the mobile phone batteries. Then they also demonstrated to me the functioning of the solar lantern and the solar panel. Now, these women don’t have to worry about the absence of electricity supply in their village and compromise with their work after sunset. Their children can study under the bright light of solar lanterns and aspire to do well in life. I left the village with the feeling that the Milaap funding and the MSF efforts at the ground level are actually bringing real transformations in the lives of the people especially for women and children.